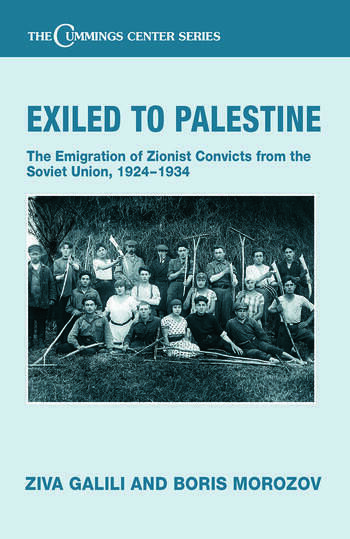 This is the unknown story of how Zionists imprisoned by Soviet authorities were allowed to choose sentences of permanent departure to Palestine, where they helped build Jewish society, the backbone of left-wing parties, and the powerful trade union movement. These leading authors bring to light undiscovered documents from archives opened after the collapse of the Soviet Union and go on to revise fundamental assumptions about these events. They examine the means by which internal power struggles and personal interventions in the uppermost echelons of the Soviet leadership allowed the Zionists to disseminate their message and recruit thousands of members before the massive arrests of the mid-1920s; demonstrate the extent to which personal contacts between Zionists and those who aided them, Soviet leaders and members of the security services, were vital to initiating and sustaining the practice of substitution; and using a broad array of British and Zionist documents, they reveal the crucial role of Anglo-Zionist co-operation in facilitating the immigration of Zionist convicts. This book will of great interest to all students and scholars of Jewish and Israeli, Russian and Soviet and European and British history.